Join thousands of Executives who read our blog for career advice, market insight and strategy topics for leaders in technology. Many travelers book with Airbnb to save on lodging for personal and leisure trips. But you might not know it’s equally convenient to use Airbnb for Work, which is a business dashboard that encourages stronger company culture through team building, local experiences, and increased collaboration when traveling – all while saving ~50% on expenses. These days, ~700,000 businesses use Airbnb for Work to book spaces that specifically support team travel. In this guide, we’ll show you how find them, how the program works, and why it might be a fit for your company’s travel style. And while Airbnb doesn’t have a loyalty program (yet! ), you can earn miles, points, or cash back by paying with the best small business credit cards. 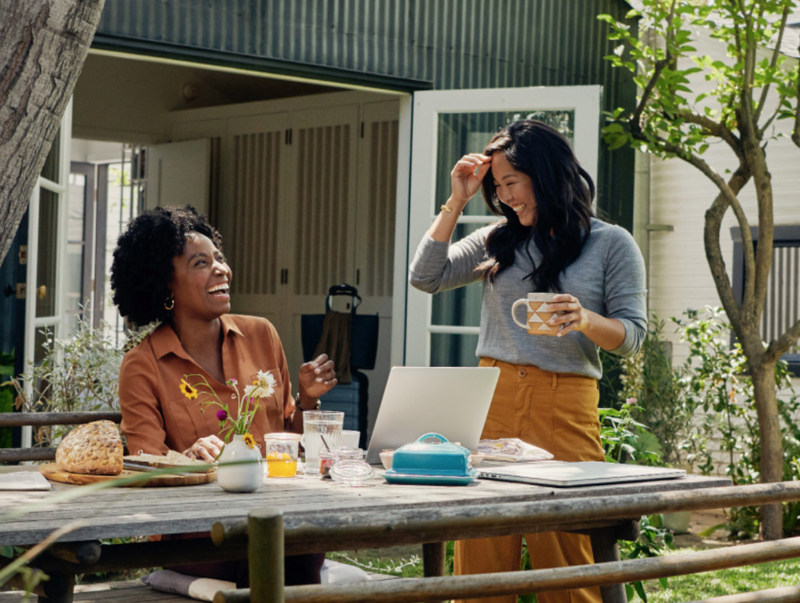 If You Haven’t Considered Airbnb for Work, It Can Be a Beneficial Way to Bring Your Team Together – and Save Money at the Same Time! It can be difficult to completely separate your personal and professional lives. It is important, after all, to be personable with those that you work with, in order to gain the necessary trust and amenability one expects when successfully working with others. However, being personable with others and getting personal through your actions are two different things entirely. Keep reading to learn some of the most commonly made mistakes that one can easily make that can put your job at risk. Everything is shifting to social media, and that includes talent recruitment. Just as newspaper classified ads gave way to job boards, people are turning more and more to social media to fill vacancies and find new job opportunities. By crafting an effective social media strategy you can meet your audience where they already spend their time. To be a truly effective and respected leader there are certain qualities you must possess. While some of these qualities may come to you naturally, many of them are learned from mentors and gained through experience. In this article we’re going to outline 12 qualities that are an absolute must for any executive as well as those seeking to climb the leadership ladder. Now that you know how a board functions and what they’re looking for in a new member, it’s time to prepare for your interview. "Does your IT Department anticipate shifts in business and take the steps to prepare for future needs, or does it merely cater to the present day needs? This is something you need to know..."
Now that the research, interviews, and data gathering is complete, it’s time to create a presentation worthy of submitting to the Board and C-Suite. Regardless of corporate size, organizations struggle with one common problem: difficulty finding, attracting and onboarding high performers. Their current approach isn’t working. In fact, it keeps them from achieving the holy grail of organizational goals…VISION. This issue is present in every business sector. Services, Manufacturing, Government, Sports, Franchises, and Start-ups. No one is immune. Not even the Fortune 100. It is a terrible monster, with tentacles, that can puncture the most critical areas of an organizational chart. This is the stuff that keeps CEOs up at night. Is it a Pipe Dream? Your Job is Secure, How's Your Image? Last time we reviewed seven mistakes that can potentially get you fired. This time we take a deeper look at behaviors that can harm your professional image. At some point in their career, most executives will begin to think about making the next move – joining that golden circle in the Board Room. The process, and successfully navigating it, can feel daunting and arcane. Often those who have the most Board experience don’t make the cut. Why is that? As technology continues to progress, hackers become more sophisticated and the threat of a cyber-attack increases, so you need to take measures to ensure your company’s, employees’, and clients’ information remains secure. “In the annual PwC, CIO, and CSO survey of more than 9,600 global executives, 41 percent of US respondents had experienced one or more security incidents during the past year. And that number is rising. Respondents reported financial losses, intellectual property theft, reputational damage, fraud, and legal exposure, among other effects.” -"Cybersecurity: The new business priority"
What would happen to your company if you were to suddenly lose one of your key leaders? Is your company prepared? Do you have strong, best-in-class candidates ready to take charge at a moment’s notice? Here’s what you need to know to be prepared for this eventuality. Talent Retention Begins at "Welcome Aboard!" The time in between offer acceptance and a new employee's first day is critical. How they feel about the company structure, policies and culture will likely be heavily influenced during this time, which has huge implications for their potential retention rate. Luckily there are a few simple yet effective ways to ensure that new employees feel like they are part of the team before their name is even on the door. Will Your Next Hire Come From Instagram? There are far more social media platforms that can be used for recruiting than just LinkedIn. Learn about how to appropriately leverage different social media platforms. A successful social media strategy will keep your audience informed and give them a sense of what it would be like to work for your company. Now that you know – or at least have an idea of – what company culture is, how it’s built, and why it is so important to a business, it’s time to show you some of the best ways of maintaining that culture. Now that you have the big picture it’s time to get down to business. In this segment we’re going to look at the other side of the table – the side you want to wind up on! How does the board function? What is the selection process? What do they look for in a prospective final candidate? These questions, along with other insights, will help you achieve your goal of attaining a board seat. Corporate committees usually want people who have previous or current experience serving on a board because those people already have an understanding of how a board functions and already possess the etiquette and integrity people look for in board members. At this point you are probably asking; “What does serving on a nonprofit board have to do with this?” Here’s why you should consider this option. Once you’ve committed to creating a Succession Plan for your company, developed a roadmap for the decision-making process, and determined which leadership positions should be included, it’s time to begin identifying and assessing potential leaders.